SmartShopper is an adware application that does not function anymore. Some users may complain about this potentially unwanted program, but the main point is that it cannot do any harm. The main reason SmartShopper is on your computer is probably because the application arrived bundled with other freeware apps. It means that you need to scan your computer with a reliable computer security application and then remove SmartShopper along with other potentially unwanted programs. It is very likely that you have a lot of adware applications installed on your computer because SmartShopper does not travel alone. According to our security research, SmartShopper was first released 2007. Thus, it is of no surprise that this adware application no longer works. It is not clear whether it had been possible to download the program at the official website because the website via smartshopper.com is no longer accessible as of January 2013. Considering that fact that SmartShopper is very old, and its website is down we can clearly see that the application gets around the web bundled with potentially unwanted programs such as DealScout, HotBar or ClickPotato. SmartShopper comes bundled with the aforementioned programs because it is created by the same developers who spawned Pinball adware, LLC family adware, Blinx video service and other advertising-related applications. It is very likely that SmartShopper was a predecessor of these applications as it could collect data on web browsing habits and then display commercial pop-up ads on popular online stores. Luckily, SmartShopper does not work anymore, and you can easily remove it via Control panel. However, the research team suggests that manual removal may not be enough to remove all the adware-associated files from your computer. There could be some leftovers in the registry. If you do not take care of that, it could result in SmartShopper or any other adware application regenerating itself. The best way to ensure that your computer system is clean and safe is to invest in a powerful computer security application. First of all, scan the PC with SpyHunter free scanner to determine what other unwanted applications apart from SmartShopper are currently on the system. When you get the full list, remove some of the programs manually (when possible), and then terminate related files automatically with a computer security tool. Investing in a computer security application is always a good idea. Not only will you be able to remove the likes of SmartShopper from the PC, but you will only be able to safeguard your system against similar threats in the future. Select Uninstall a program and remove SmartShopper. Go to Uninstall a program and remove SmartShopper. 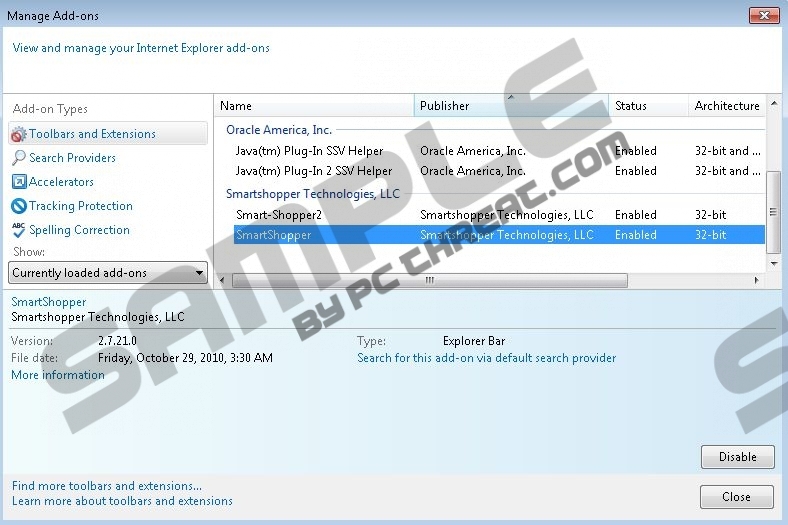 Select Add or remove programs and uninstall SmartShopper. For any further questions, do not hesitate to contact us by leaving a comment in the box below. Quick & tested solution for SmartShopper removal.